Although my children are grown now, we’ve logged thousands of miles with young children in tow over the last 25 years. Once our oldest child turned two, it was not affordable to fly, and we turned to road trips out of financial necessity. It wasn’t an option to just stay home. 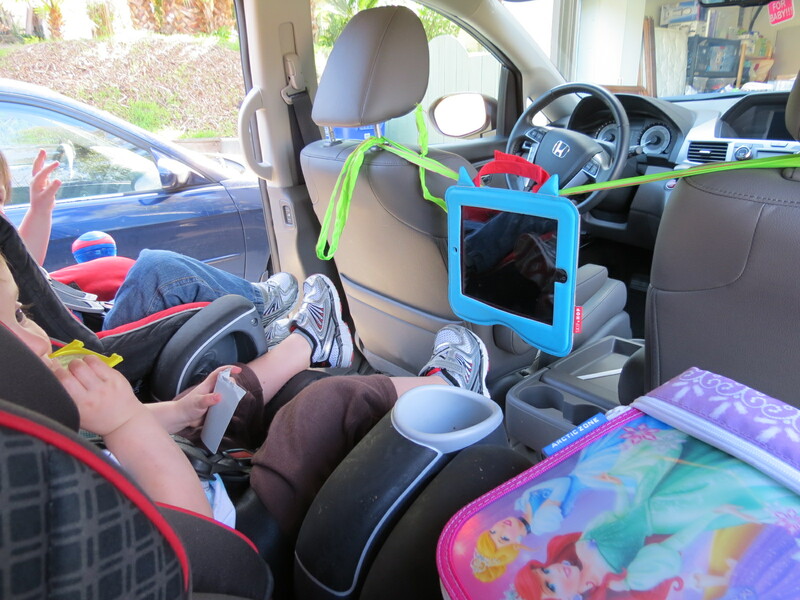 But over the years, our children learned to really enjoy traveling by car. In large part, that was because of the things we did to keep them happy. Make your children as comfortable as possible. This seems so obvious, but no one likes being cramped in a small space for a long time, especially when confined to a seat belt. 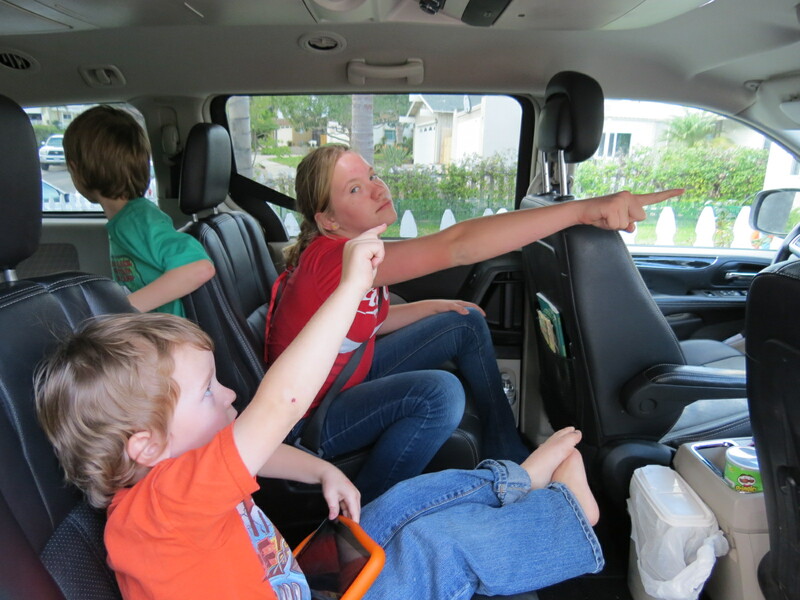 Depending on the number of seats in your vehicle and the number of passengers, try rotating where your children sit, so that at any one time, at least one has more space to “spread out.” Squeeze all your kids together, and you will undoubtedly hear “M-O-M, (insert child’s name here) touched me!” more than you like. Throw in some extra pillows so they can lean against windows or doors. You can even add a thick sleeping bag across the carseat so it’s more cushioned. Install window “shades” so they don’t have bright sun in their eyes (this can be as simple as rolling down a window about an inch, inserting a pillow case, and rolling the window back up to hold it in place). 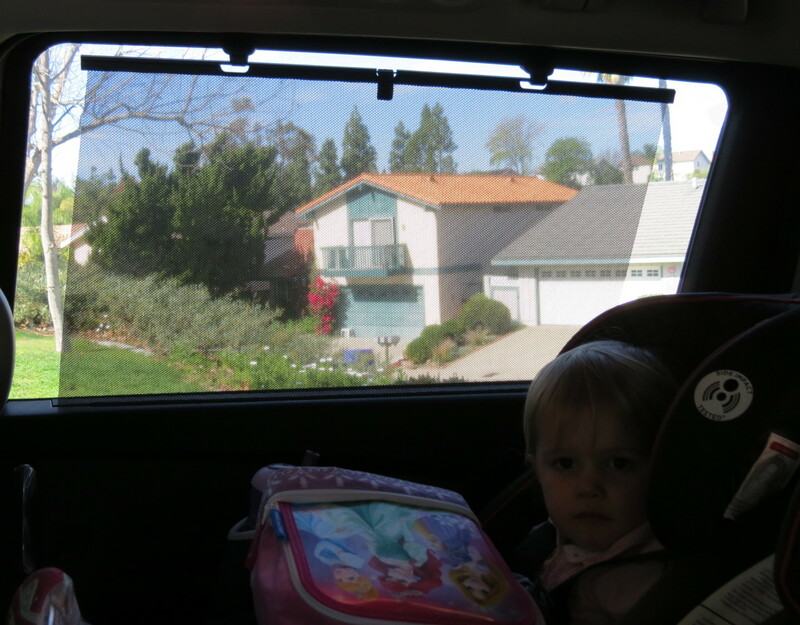 Using a sun shade will help your children be more comfortable. Music tames the wild beast the fussiest child. When I was a kid, we took road trips every summer. My father rigged some headphone jacks to the back of our seats and gave us all a big, boxy pair of headphones to wear. They were wired to a cassette player and the car stereo so we could listen to a) some cheesy children’s tape or b) popular songs on the radio. We thought our dad was so cool! Nowadays, there are so many more options for kids. Whether it’s a preloaded MP3 player with favorite tunes, the car’s CD player, or just singing a cappella, music can really make a long road trip go a lot faster. My children’s favorite sing-a-long music was Wee Sing Silly Songs, by Wee Sing. For about $10 you get a CD with a booklet with all the words printed out. There never was money better spent! If you check out their website here, they have apps, downloadable MP3 files, and an amazing assortment of CD’s available, including one called Wee Sing in the Car that even includes travel games. As parents, I bet you’ll find yourself singing along as well. When we took our adult children to France, they were still singing in the rental car as we drove—this time adding harmony parts. It was wonderful! Give them some independence. Do you really want to be the “go-to” person for the entire trip? You’re going to field a lot of requests for food and other items. Plan ahead and pack “travel kits” for each child so they won’t have to bug you for every little thing. Kits might include granola bars, baby carrots, mints, paper and pencils, stickers, small toys (especially something new), books, maps, water bottles, and so on. You know what makes your child tick—plan ahead and put together something they will enjoy. Even the youngest can feed themselves! Tell stories. Stories are a wonderful way to engage the entire family. You can read books, listen to books on CD’s, or make up your own. One of our children’s favorite stories was an ongoing tale of “The Attack Skunk” that my husband made up. He continued to embellish the story of a skunk that was stalking him and added new adventures about how he had outsmarted the skunk every time we were out with the kids. They LOVED it! I really should have him write them down. On another trip, we purchased a set of CD’s for one of the Harry Potter books. 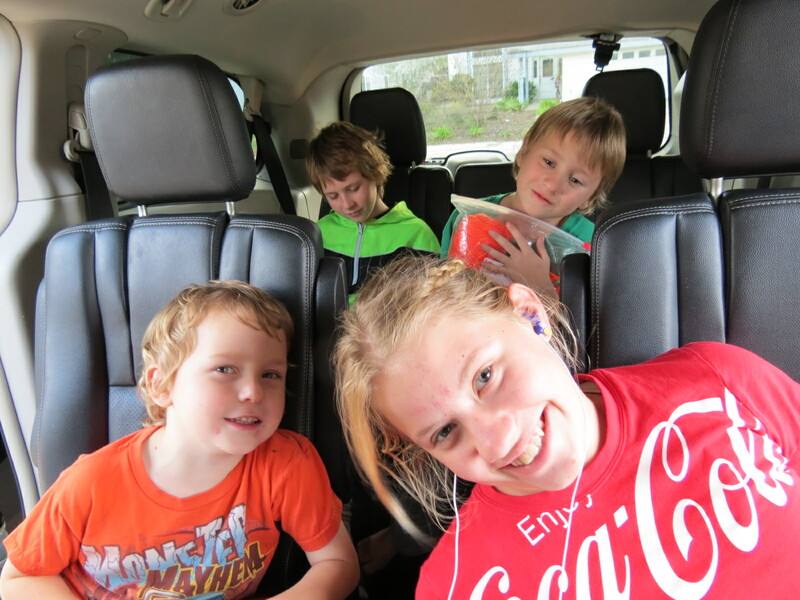 It was 13 hours long, and the kids insisted on sitting in the car for another 45 minutes after we arrived home from a 12+ hour road trip so they could hear the end of the story! License Plate Game. We offered this game to our children as a way to earn souvenir money. For every state they could find a license plate for as we traveled, we would give them a dime. They had to keep track and write them down, or there was no payout. We loved this game. It kept them quiet for long stretches of time, and they loved having money to buy treats or toys when we arrived at our destination. Click here, United States License Plates, for a free printable. ABC game. I think everyone knows a version of this game—find every letter of the alphabet in order. Whether looking for an actual letter on a sign or license plate…or looking for an object that starts with each letter, this game will keep the kids looking and learning as you go. Travel Bingo. This game can be made even more fun by giving “tokens” that can be eaten when a bingo (five objects in a row) is completed. Children look for the objects on the bingo card and place a mini marshmallow, chocolate chip, or M & M on each picture they find. When they complete a bingo, they get to eat their tokens! If you prefer to use a non-sugared token, pennies or buttons make good markers, too. 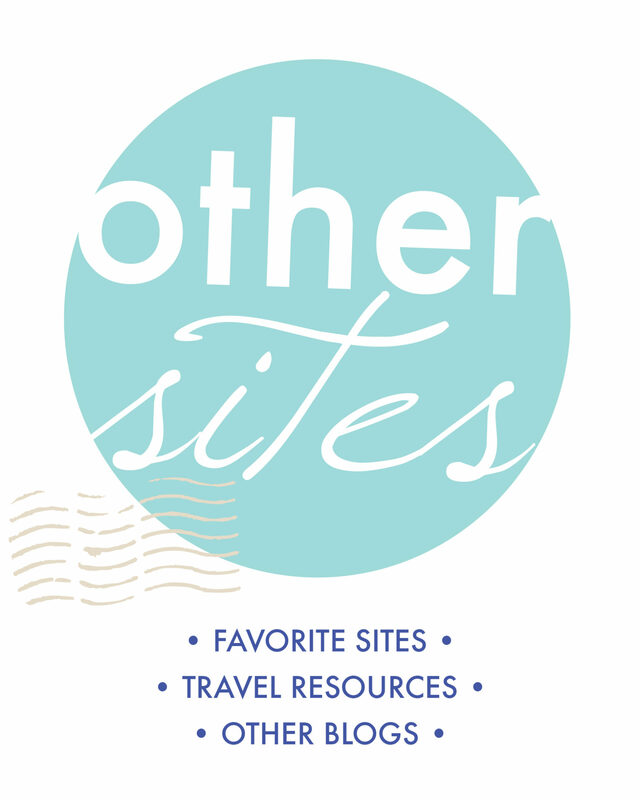 Find the Travel Bingo game here and print on sturdy cardstock. You’ll find five versions of Travel Bingo so your children don’t all get bingos at the same time! Judge the Distance. My husband invented this game. He would look ahead and search for a landmark in the distance, point it out to all of the kids, and have them guess how many miles away it was. Then everyone would watch out the window as my husband counted off the miles we’d gone since initiating the challenge. The child who guessed the most correct number of miles as we passed the landmark won the prize—usually a quarter or chocolate kiss. With more and more practice, the kids got pretty good at estimating distances! Don’t Spell a Word. We played this when our children needed games that were more challenging. One person started the game by choosing a letter (for example, “T”). The 2nd child had to add a letter without creating a word, but had to have a specific real word in mind (example, “T-H”). If the 2nd child had said “O”, the game would end because “T-O” spells a word. If a combination of letters doesn’t appear to be spelling a real word, the next person can challenge it. Let’s say, the letters that have been given are “S-H-L” and the person taking the 4th turn challenges the 3rd person because that’s a strange letter combination. But the 3rd person has the word “SCHLEP” in mind. In this case, the 4th person would be out for issuing the challenge. Everyone continues to take turns until someone is forced to finish spelling a word. Then the game starts over with a new start person. The fact is, there are lots of resources for travel games. A friend of mine loaned me her deck of “Games on the Go” by Discovery Toys; it’s a deck of 50 cards on a ring–lots of fun and educational game ideas just for traveling. Choose the games and activities that work for your kids–create some new traditions–and enjoy your road trips! Loved this simple way to display an iPad for movie viewing! And finally, do plan some stops. Not just for bathroom visits, but for fun. You want your kids to believe that you remember what it’s like to be young. Stop at a playground or park for a few minutes of run-around time. Or drive through their favorite fast food restaurant for lunch. If saving money is your goal, pack a picnic lunch and choose a scenic place to enjoy it. And make a big deal out of little things. My husband and I once stopped at a roadside park and threw a Frisbee back and forth to celebrate the car turning over 100,000 miles. On another trip, we were forced to travel on my daughter’s birthday. We gave her a small gift to open every 100 miles. If you take the time to prepare ahead and make car travel fun for your kids, you will reap so many rewards—great memories for the entire family, a closeness created by spending quality time together, and a greater appreciation for the scenery and experiences that can only come from taking a road trip! Remember to find Joy in the Journey–it’s not just about getting there. Thanks to the Howe family for showing me how they have fun in the car! Thanks to the Wiest family for letting me take pictures–hope you had fun in Disneyland! This post is SO helpful! I love all the great ideas. I only have a newborn right now, but I find that some of these tricks work already; my little one loves listening to music on road trips!! I love the games! I always feel bad when we are traveling somewhere in the car and I feel like my son constantly has his face in a screen. I used to have one of those travel bingo cards as a kid!. We traveled around a lot on family road trips, I think my parents thought they were the best invention ever, they kept us entertained so well! OMG I love your idea with the road bingo! Even for grown ups that is an amazing thing to do if you have a long road ahead of you 🙂 will be passing this on! Thanks for taking the time to comment — it makes me happy that these work for you. 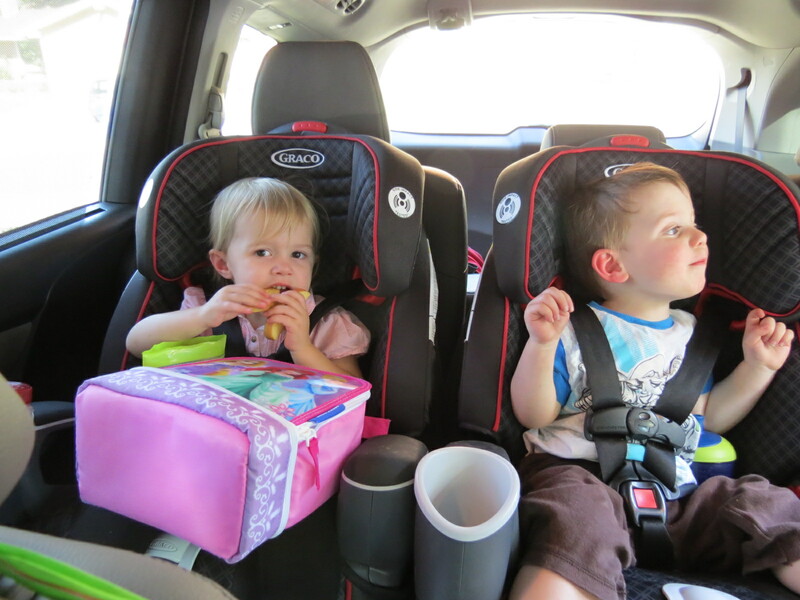 Wishing you lots of great road trips with your family! A road trip can be very fun if planned properly. 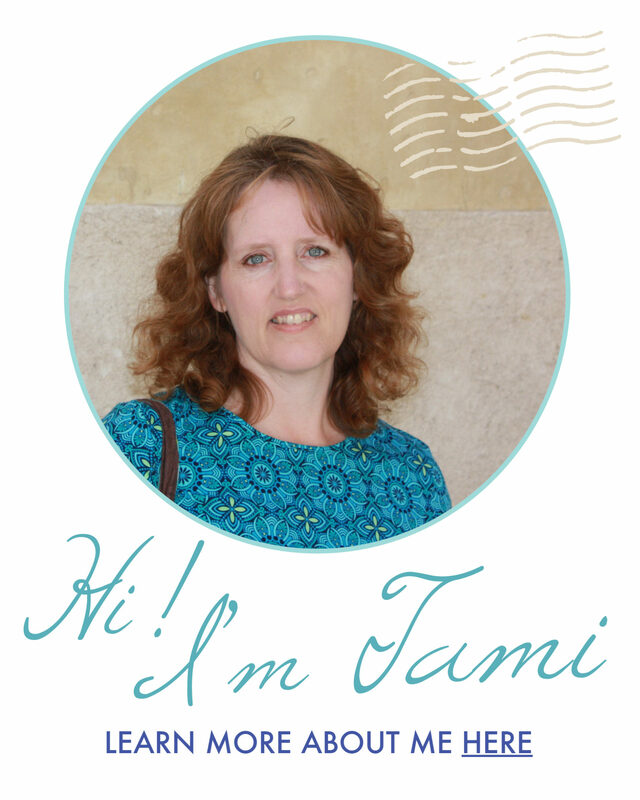 These tips are excellent, Tami! What kind of food do you usually take with you when on a road trip? I aim for finger foods that are not too sticky: apple slices, crackers, chips, string cheese, nuts, cookies, sandwiches cut into quarters, etc. I don’t mind crumbs because they’re easy to vacuum. But I hate it when fruit snacks get smashed into the car seat or carpet! I remember very long road trips with my family as a kid, and then with my step kids. Great tips! Love the license plate idea. We always enjoyed the license plate game, too! Music, definitely lots of music. To this day my girls and I can road trip 12-14 hours by just singing to our favorite songs. 😉 Fun post Tami! I must say we like a good sing along in our car on road trips. In Australia everywhere is a road trip. I love your idea of “travel kits” for the kids and all of the fun games. When I was little, I don’t remember my parents doing any of that. All we did was listen to the radio. :/ Great post! We played some of these games when traveling with our kids too. Road tripping was always a time to bond and one we always looked forward to. Wee Sing were great we also enjoyed listening to Adventures in Odyssey programs.